Sebo Power Nozzle - The Best Central Vacuum Cleaner Power Nozzle! Easy to use! Cleans Carpets & Bare Floors! Built To Last! Can be used with any central vacuum system! 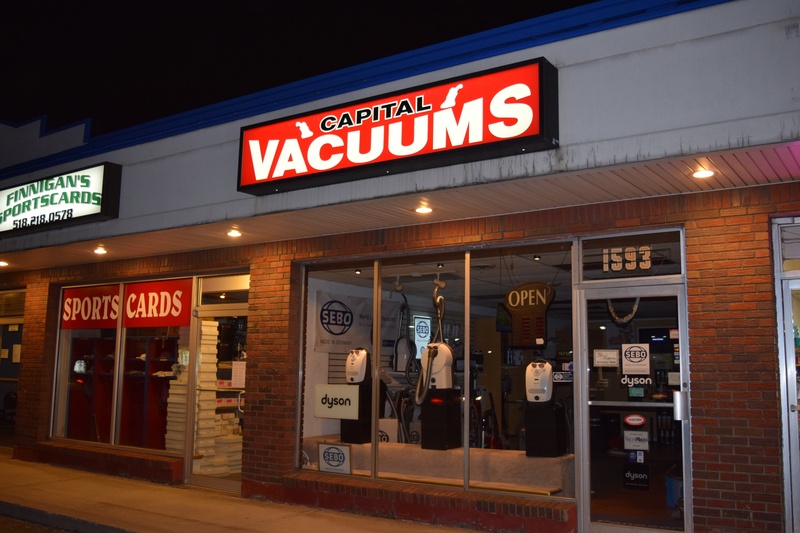 In an effort to better serve our customers, Capital Vacuums is building a Central Vacuum Showroom. There are some great advantages to owning a Central Vacuum (Built in vacuum, In wall Vacuum). Unfortunately, choosing the right system and attachments can be a challenge. Especially if you are not dealing with a Vacuum Cleaner Store. It's a good idea to actually visit the Vacuum Store and try the equipment before you make a purchase. The Central Vacuum is a big investment and it is well worth it, if the right equipment is purchased. The proper tools will make cleaning easier, save time, aggravation and money. Take the time to shop and get the right equipment. Capital Vacuums has agreements with most of the local Installers and we have our own in house Installers so our customers can get high quality equipment and can also shop for a professional installation. "What do you think of central or built in vacuum systems?" I've been asked this question countless times. Until now my answer has always been that unless it is done the right way, the right equipment purchased, the right installation and the right cleaning attachments with at least one attachment kit on every floor, It is probably just a luxury for someone who has a great vacuum cleaner in addition to the built in system. A Central Vacuum System was not always the easiest, most convenient way to clean the house. That is until now. Recently I Installed in my home The latest and greatest in Central Vacuum systems, the "Hide A Hose" retractable Hose Built In Vacuum System. This system is the ultimate in convenience. One centrally located outlet with a hose that retracts back into the wall when you are done vacuuming. This one outlet and hose covers my entire house.